Northern Ireland begin their Euro 2016 campaign with a clash against Poland in Nice on Sunday boasting a 12-match unbeaten run. Here are some previous meetings between the two countries ahead of their Group C encounter at the Stade de Nice. Despite trailing to an early effort from Robert Warzycha, the hosts rallied with an equaliser through Gerry Taggart. Jim Magilton’s penalty put Northern Ireland ahead before centre-back Taggart, who retired with seven goals for his country, then wrapped up the triumph with a third for Billy Bingham’s side. A certain Michael O’Neill started in central midfield in this fixture. Sammy McIlroy’s team were served a lesson in Cyprus as Poland, who were bound for the World Cup later that summer, went 2-0 up inside 11 minutes. Steve Lomas’ first international goal in four years raised hope of a comeback yet two goals in three second-half minutes consigned Northern Ireland to a heavy defeat. Neil Lennon and George McCartney came on at half-time but it was the Poles toasting a fab four. Under Lawrie Sanchez’s rule at the time, it looked as though Northern Ireland would claim a point on their travels thanks to an inspired goalkeeping display by Maik Taylor. However, Maciej Zurawski finally beat him with an effort five minutes from time to end the visitors’ qualification chances. Three players who started that night - Steven Davis, Aaron Hughes and Chris Baird - would all be named in O’Neill’s Euro 2016 squad 11 years on. A thrilling contest at Windsor Park sent Northern Ireland top of their World Cup qualifying group midway through the process. Warren Feeney broke the deadlock and, after Ireneusz Jelen equalised, Jonny Evans restored the lead and a Michal Zewlakow own goal confirmed the victory, even though Marek Saganowski struck late on against Nigel Worthington’s men. A more youthful Kyle Lafferty, who will hope to lead the line for O’Neill’s side on Sunday, gave the Green and White Army a half-time lead by sliding the ball between Artur Boruc’s legs. 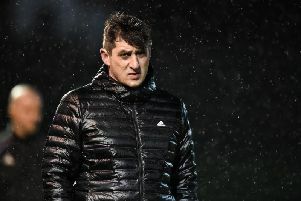 However, the spoils would be shared as Mariusz Lewandowski scored a late equaliser and while it kept Northern Ireland’s qualification hopes alive, they took just two points from their final two games and finished fourth.